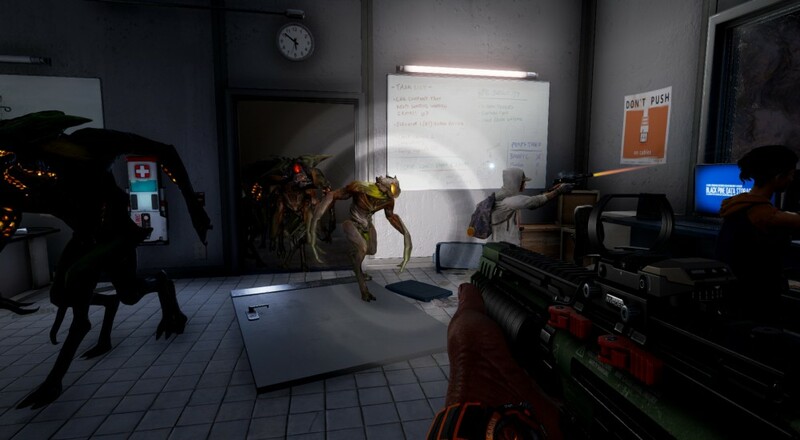 Much like in Left 4 Dead, Earthfall lets up to four players team up to battle through a variety of campaigns with each campaign further split up into a series of missions. The missions will task players with fulfilling certain objectives but unlike that zombie shooter that was constantly pushing you forward, Earthfall lets you build little outposts that can be used as a kind of base of operations. You can construct defenses, like barriers, and put up turrets to better stave off the alien menace. At the moment, there is only one campaign available and four missions within that campaign, so it's still early on in the development. Earthfall is available via Steam Early Access for $14.99 and supports up to four players online. The PlayStation 4 and Xbox One versions will be released sometime later, though it's unclear if they, too, will have some kind of early access/game preview prior to a full release.